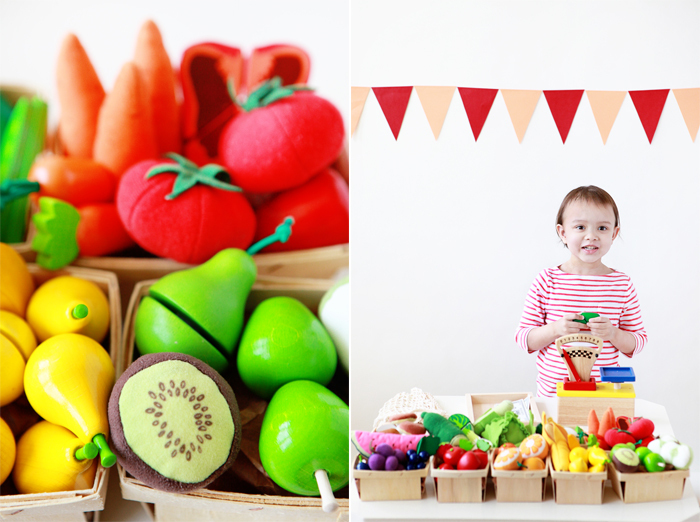 Avery has been to a farmers' market a few times and I thought it would be fun to set up her own farmers' market stand at home (another opportunity for collaborative pretend play). 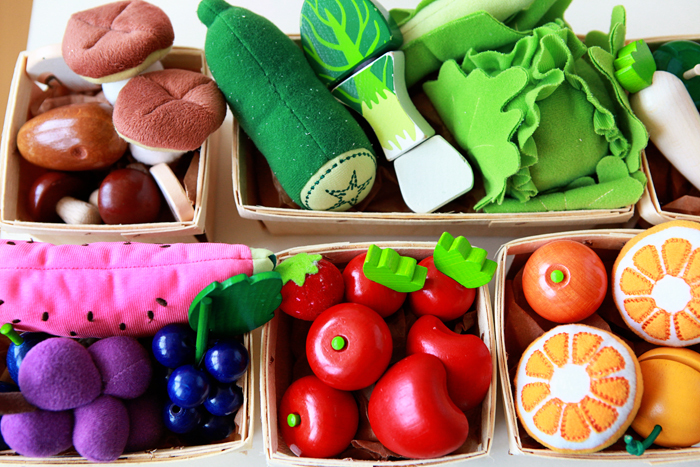 She also helped in categorizing the produce (fruits vs. vegetables) and sorting by color. Avery loved looking through and listening to A Day at the Market. Sara Anderson brings to life the buzz and energy of a farmers' market with beautiful color and her modern paper-cut style. 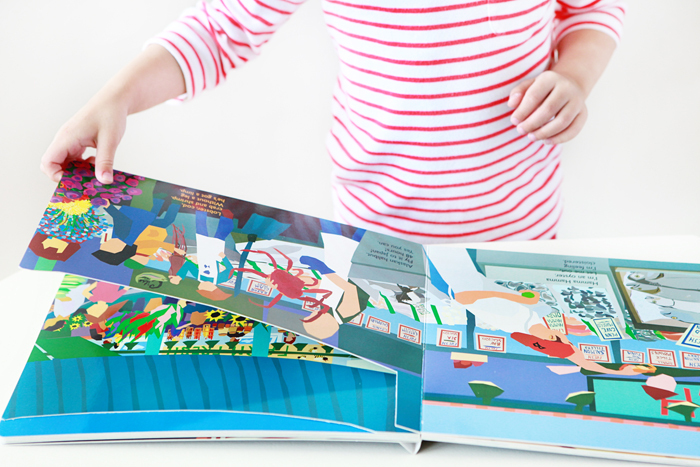 The die-cut pages add a fun dynamic and interesting flow to the story and the clever rhymes and dialogue keep little ones engaged. 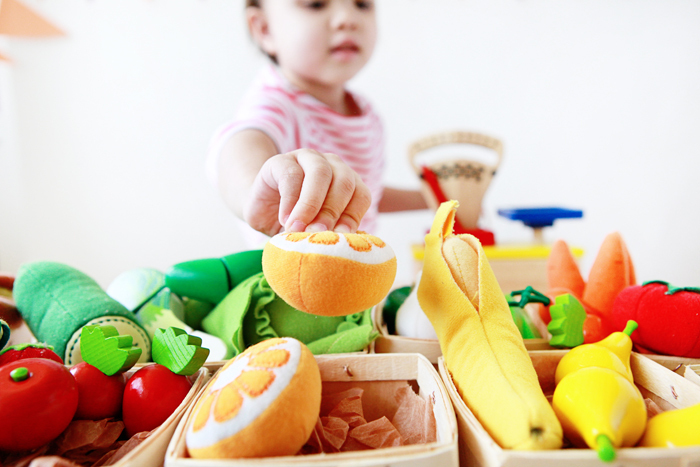 This post is the second in a series on collaborative pretend play. 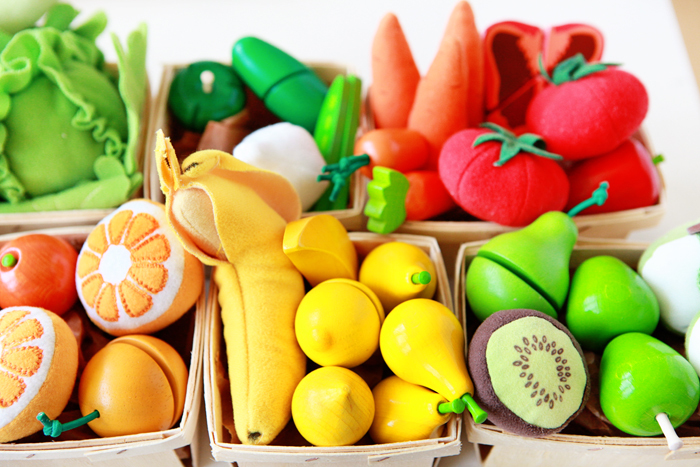 The first post in the series was Avery's Bakery. 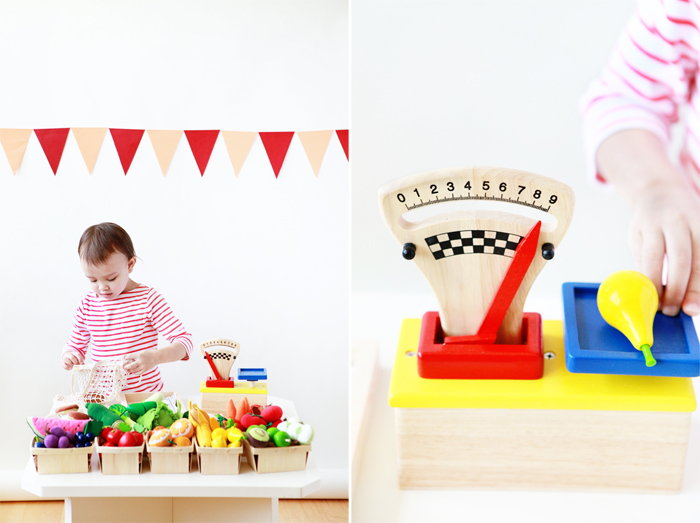 Thanks to Land of Nod for providing the wooden scale and A Day at the Market. 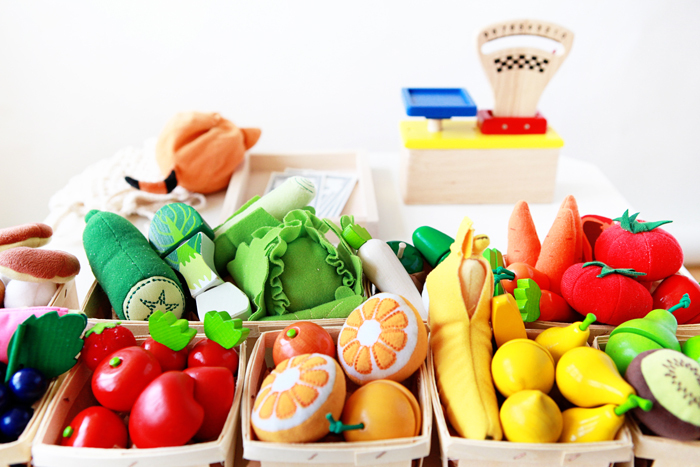 Other sources: fruit and vegetables by Haba, Plan Toys and IKEA; wooden baskets from Garnish.